Mission Praise was first published in the early 1980's as a collection of songs to accompany a Billy Graham crusade. The Complete Mission Praise is the compilation of all songs and hymns from the entire Mission Praise collection into a comprehensive volume of worship material. ;In this new music edition the favourite arrangements and settings for just under 1000 items are laid out with guitar chords included and alternative arrangements where appropriate. 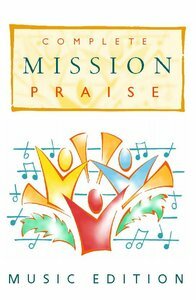 - Publisher The Complete Mission Praise is the compilation of all songs and hymns from the entire Mission Praise collection into a comprehensive volume of worship material that will satisfy the needs of all churches and congregations. About "Complete Mission Praise (Music Book) (Music Edition)"
The Complete Mission Praise is the compilation of all songs and hymns from the entire Mission Praise collection into a comprehensive volume of worship material that will satisfy the needs of all churches and congregations.